Atelier Paysan is an exception in the field of agricultural development, most organisations being in large part publicly funded. In our budget for 2014-2015, we plan to be 60% self-financed (through our trading activity and participatory financing). We aim for public financing to make up no more than 40% of our income. Atelier Paysan finances its research and development in part through contributions from its users. This is the case on training courses where participants pay a fee towards Atelier Paysan’s research and development programme and the depreciation of the cooperative’s equipment. Participants also make a contribute to a solidarity fund for those farmers unable to pay the full amount for their training courses. The entirety of these funds are allocated to specific areas so that users can clearly see where their contributions are spent.  Atelier Paysan is also linked to the fundraising network “Citoyens Solidaires”. As we are not recognised as a public-interest organisation and therefore not eligible for income tax relief, we go through “Citoyens Solidaires”, who are eligible and who return us 80% of the contributions made for Atelier Paysan. 66% of an individual’s contribution can be deducted from their tax return (on up to 20% of their taxable income). The contributions made by businesses benefit from a 60% reduction of corporate tax (on up to 0.5% of their turnover). We have also used participatory fund-raising to finance the costs of our new ventures. In Spring 2015, we led our first successful crowd-funding campaign “Blue Bees”. €21 000 was raised for the purchase of a third workshop truck and the equipment needed for the workshop (welding stations, drills, plasma cutting machine, grinders). As a cooperative, we are able to build capital equity in a way that not-for-profit organisations are not usually able to. As well as making it easier to request a loan from a bank, the cooperative can also build equity by calling on its members (through the purchase of shares and by opening partnership accounts). In addition to the capital equity of the cooperative, we also make use of 20 groups in the CIGALES network (Investment Clubs for an Alternative and Local Management of Solidarity Savings). The network brings together citizens who wish to place their savings differently and want to support local projects. In September 2015, we collected to €56 000 of shares through the CIGALES network. We believe our work developing and disseminating common goods needs to be supported by public funding. The funding we have received from government authorities is a sign of recognition of the innovative and original work carried out by Atelier Paysan. In 2013, the Rhone Alpes region was the first to support the development of our project (€60,000 over 2 years). The Rhone Alpes region then went on to integrate Atelier Paysan into its development plan for organic agriculture in 2014 (€37,000 between 2014 and 2017). The region of Brittany and the Water Agency for Brittany and the Loire supported the establishment of a new branch of Atelier Paysan in the north west of France in 2013 (€39,500 in 2014). In September 2014, self-built principles and adapted machinery were recognised in the law for the future of agriculture adopted by the French National Assembly. 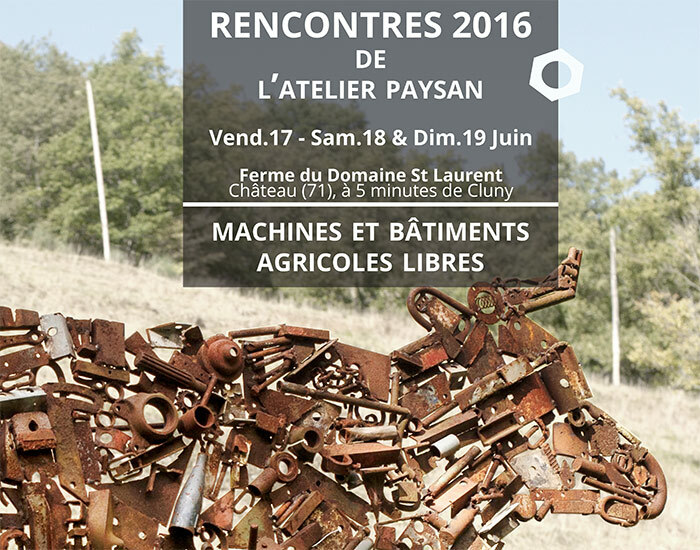 In 2015, Atelier Paysan became an ONVAR in France, that is, a national organisation for agriculture and the countryside, which is a status delivered by the Ministry of Agriculture and which includes a financial support for the leading networks of agricultural development in France (€80,000 a year for 6 years). Atelier Paysan’s model of innovation is based on the involvement of its users. The cooperative’s overall direction also answers to its beneficiaries. This ensures that the tools designed and disseminated are relevant and useful to users. This collaborative form of research and development does not require huge costs. Working under Creative Commons licensing, users can share their ideas without the risk of any appropriation or restriction of access. This communal culture encourages users to share their adaptations and contribute to a virtuous cycle of innovation: a design published under Creative Commons can be continually modified and improved by its users. This ecosystem of innovation also contributes towards the exploration of resilient economic models.